© 2019 WWL-TV. All Rights Reserved. 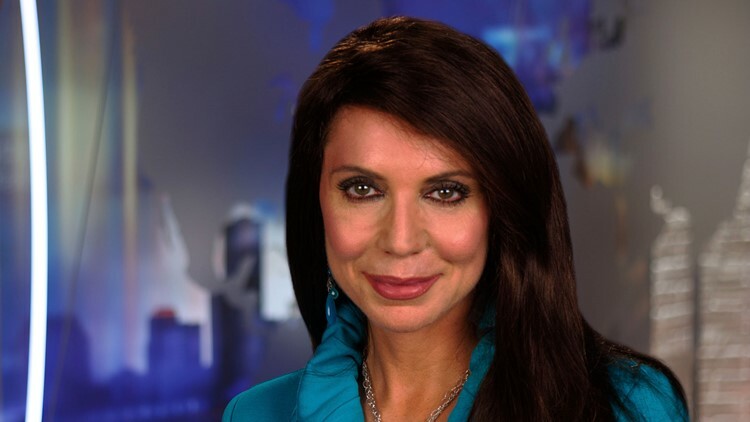 Meg Farris is a reporter at WWL-TV in New Orleans, specializing in health and medicine. She is Southeast Louisiana's only broadcast journalist dedicated to covering the beat of health and medicine. "MedicalWatch" reporter Meg Farris donned her first pair of scrubs when she was just 15 years old. When this native New Orleanian became a teenager, she was making a regular date with destiny in the local O.R., where Meg would observe her father, noted obstetrician/ gynecologist Dr. Charles Farris, Jr., for hours in surgery. "I scrubbed in to watch deliveries, c-sections, even hysterectomies," Meg recalled. "And I was spellbound. Each procedure was so clean, so organized, and perfectly orchestrated." Little did her Newman schoolmates know that when Meg brought a laboratory- preserved placenta to class for a 10th grade oral science report, her articulate enthusiasm would lead her years later into their living rooms, where her evening "Medical Watch" reports - and her morning feature with national fitness guru Mackie Shilstone - now draw thousands of viewers. Thanks to New Orleans' stature as a world-class city for medical research, Meg can bring a wealth of groundbreaking stories to her highly health-conscious audience. "We have clinical trials galore going on at Tulane, LSU Health Sciences Center, Ochsner and other private clinics," she observed. "The drugs of the future are being tested right now in our own backyard." Her "Medical Watch" stories, as well as her "Weight Loss Wednesday" and "Wrinkle Free Friday" reports, reflect the multi-faceted beat that Meg covers. She also can be seen at times on the "Eyewitness Morning News" interviewing nationally known medical and fitness specialists. They range from the moving, where a tiny pair of crocheted slippers, lovingly knitted by a local senior citizens group, helped a mother cope with the loss of her stillborn child... to the miraculous, when a Vietnamese refugee, totally blinded during the war, saw his post-operative reflection in a hospital mirror for the first time in twenty years. They often focus on cutting edge - and sometimes controversial - treatments, such as the hyperbaric chamber therapy that a local doctor is using to treat brain-damage victims instead of deep-sea divers. And each week, they can generate hundreds of calls from across southeast Louisiana - and sometimes, from all over the country. "When CBS picked up a story we did on LSU Health Sciences Center's experimental treatment for a rare form of cancer, people called all the way from Canada," she noted. But this dedicated reporter doesn't stop with her carefully crafted medical reports. Every Wednesday throughout the 6 to 8 a.m. edition of WWL-TV's "Eyewitness Morning News," you'll find her doing everything from yoga positions to pumping iron - as she teams up with colleague Shilstone for a fitness session with "Mackie & Meg." It's a natural extension for this self-professed workout devotee, who doesn't miss a single day of exercise - whether it's running, spinning, boxing, or bodybuilding. And it's the same kind of determination that brought Meg in 1981, fresh out of Ole Miss with a double major in print journalism coupled with radio and TV, as well as UPI stringer credentials covering Oxford's Federal Court, to eagerly start at the bottom of the prestigious Channel Four newsroom as a desk assistant. After being promoted to Assistant Assignment Editor, and then serving as Satellite Coordinator, Meg landed a spot on the air producing and reporting the community-events feature "New Orleans 4 Today." By the early nineties, she found an opportunity to channel a life-long interest in science, and began contributing her first local medical reports to the increasingly popular morning newscast. Today, those early morning packages have evolved into WWL-TV's high profile "Medical Watch" franchise, and Meg's found herself scrubbing in for the O.R. again - but this time around, she's now accompanied by a Channel Four news photographer. And when's she off from her reporting responsibilities, Meg and her husband take care of their dogs - "all rescued from the streets or adopted from the SPCA," she added - and abandoned Easter rabbits that also came from the local shelter. You can contact Meg at Mfarris@wwltv.com or follow her on Twitter @megfarriswwl.